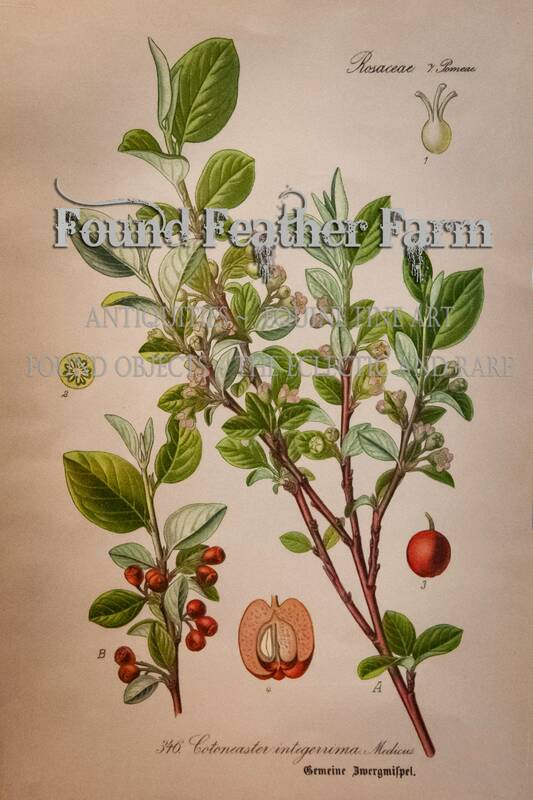 1905 - Common Cotoneaster from Flower Garden - Chromolithography Botanical Print by Zeyschwitz. Original. Antique. Botany. Natural History. 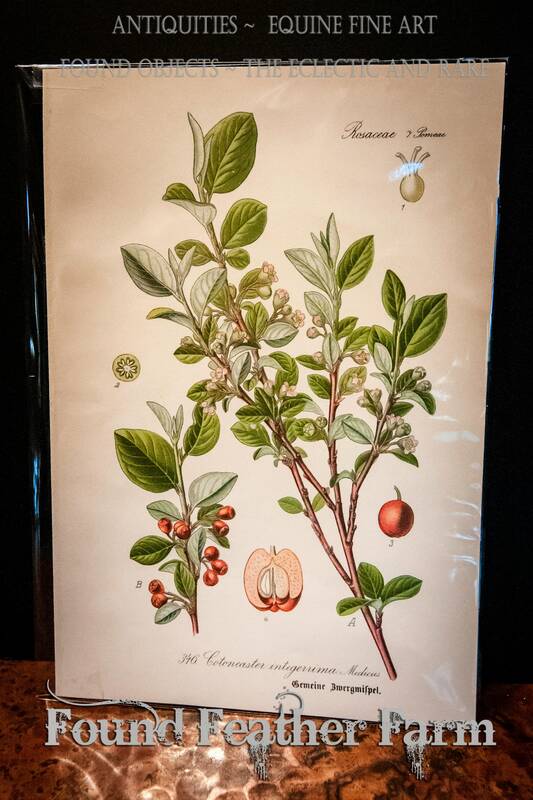 Cotoneaster is a genus of flowering plants in the rose family, Rosaceae, ... Cotoneasters are very popular garden shrubs, grown for their attractive habit and decorative fruit. 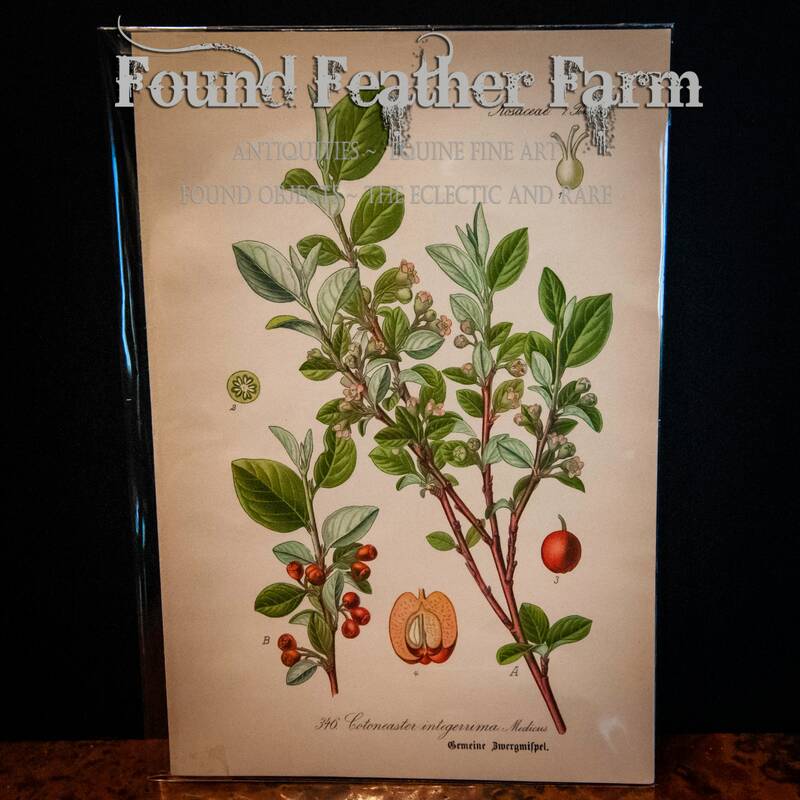 A lovely and collectible antique print that is 114 years old. Size: Width 5.85" x Height 8.60" x Depth .10"